Our mission is providing athletes a personalized approach to their journey to reach peak performance. AGP’s vision encompasses an inter-professional platform allowing an athlete to track training, learn, educate, design, plan, and recover; pertaining to high-quality sports medicine and elite athlete performance strategies. The “Avant-Garde” comes from an art movement that started in the early 20th century. In July of 2016 the movement turned 100 years old. Avant-Garde comes from the French “advance guard” or “vanguard”, literally “fore-guard”, which are individuals and works that can be considered radical or unorthodox with respect to art, culture, or society. The Avant-Garde pushes the boundaries of what is accepted as the norm or the status quo. It promotes radical social reforms. In today’s complex and competitive sports arena; modern healthcare and sports performance management for athletes is difficult to navigate. AGP aims to perfect and push the boundaries of the art form of providing services that takes in consideration the “whole athlete” with athlete monitoring, performance testing, accurate diagnosis, sports injury management, and an innovative personalized digital platform that enables and an athlete to manage their journey in reaching peak performance. Managing all aspects of an elite athlete’s sports medicine, performance, and recovery in a sports medicine setting encompasses every discipline of the healthcare and sports performance fields which can be difficult to navigate. AGP Sports Medicine strives to take care of the “whole athlete” – sports medicine services include a comprehensive history, examination, appropriate diagnostics, accurate diagnosis, appropriate referral if needed, and services which include modern sports chiropractic, physiotherapy/therapeutic exercise and rehabilitation, Acupuncture and Traditional Chinese Medicine, strength and conditioning, sports nutrition, soft tissue therapies, and recovery modalities. AGP Philosophy - Our mission is to provide elite athletes with quality medical care and strategic sports performance services. In today’s complex and competitive sports arena AGP pushes the social and professional norms in managing our athletes with quality time and appropriate athlete management. We strongly feel that our athletes are not charged based upon amount or type of services rendered, but rather individualized plan that takes into consideration the “whole athlete” with accurate diagnosis, exceptional sports injury management, and innovative individualized sports performance design to help each athlete reach their peak performance. Dr. Jeremy Summers’ fascination with a career in sports began as a youngster, playing soccer until he was introduced to the sport of fencing during his freshman year in high school. Switching from soccer to fencing was a decision he will never regret, for it was fencing that stirred his passion for all sports, and eventually sports medicine. Summers made his first national team representing USA Fencing and in 1994 Cadet Fencing World Championships, where he took 7th place. 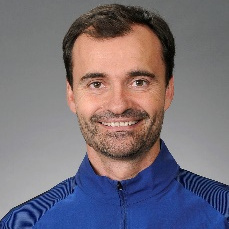 He has traveled the world competing with TEAM USA in over 60 international world cups, becoming a four-time national team member, a World University Games athlete, and eventually an alternate to the 2000 Olympic Games in Sydney, Australia. At the 1996 Junior World Championships held in Lille, France, Summers suffered a severe injury tearing his hamstring to the point of near complete rupture. This injury was his first major exposure to sports medicine which ultimately became the catalyst for his decision to pursue sports medicine as a career. Dr. Summers went onto becoming a Certified Athletic Trainer at Park University in Parkville, Missouri, and completed his Doctorate of Chiropractic and Masters of Acupuncture and Traditional Chinese Medicine at Southern California University of Health Sciences in Whittier, California. 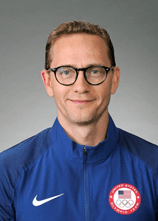 Following graduation in 2009, he worked with his mentor for USA Fencing Sports Medicine, Peter Harmer, PhD, ATC, FACSM, who ran the program for over 25 years. Dr. Summers was invited in 2012 to take the position of Chief Medical Officer in the USA Fencing Sports Medicine Program, just prior to the London Olympic Games. Since then, Dr. Summers has worked in private practice with a group of physicians at the Soft Tissue Center - D.I.S.C. Sport and Spine in Marina del Rey, California. Summers stepped up as Chief Medical Officer for USA Fencing continuing his passion and dream of attending his first Olympic Games became a reality, not as an athlete, but as a Sports Medicine doctor and a dedicated supporter of athletes working to achieve their dreams, a dream he fell just short of as an athlete. In 2015, USA Fencing offered Dr. Summers the opportunity to work full time supporting the U.S. Fencing Olympic Team in preparation for the 2016 Rio de Janeiro Olympic Games, during which nine USA Fencing athletes brought home Olympic medals. Dr. Summers relocated to New York to provide continued support to USA Fencing athletes for the rapidly approaching 2020 Olympic Games in Tokyo, Japan. This relocation also allows him to share the benefits of his experience with other athletes in his unique sports medicine system, that is, the art of caring for the “whole athlete,” not just their ailments. I have worked with Dr. Summers since 2010. Beyond his excellent capabilities as a doctor, his deep knowledge of sports medicine and ability to find innovative solutions to difficult problems, I admire the numerous human qualities that he brings to everyone he works with. Dr. Summers' brings enthusiasm, compassion, and open-mindedness to what he does. Our mission is to provide elite athletes with quality medical care and strategic sports performance services. 2019 © AGP. All Rights Reserved.